A visitor to the sanctuary meets a friendly Kaka. The TOSSI Annual General Meeting was held on 3 September at the Woolshed. 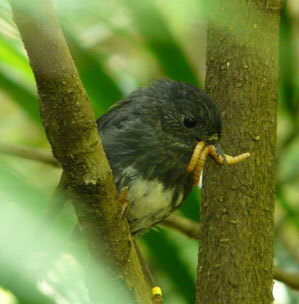 The first COSSI day of talks and guided walks at Tawharanui on 25 March was a success.